One major mistake of new bloggers and content marketers is that they think their work is done with writing the post or creating the content. The truth is that is the moment when the real work just starts. That is why some of the best writers are not the best bloggers, and some of the most famous bloggers may not even be the best writers. 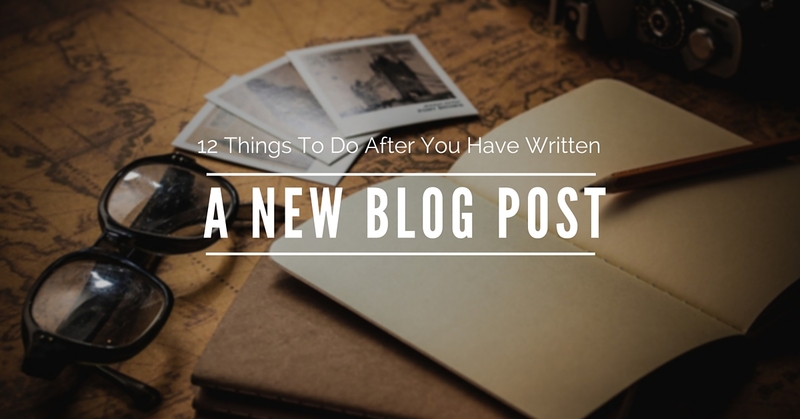 There is a lot more to blogging, and you have a lot of work to do when you just finished your post. So you wrote a post. You loved writing it and you firmly believe it is a great post? Read it again! Even better: Give it to someone else to read. A colleague, your friend or even you children. So often when we write enthusiastically our thoughts are faster than our fingers, and when you read it again, you will notice some leaps in the narrative or some missing words – or even sentences that made sense when you typed them, but now they somehow seem a little hard to understand. Your friends and colleagues may even hint you to some breaks in your story or tell you where you should add some more thought to it. Invest the few minutes and read your post over. It will be worth it. We have already talked quite a lot about headlines on this blog. For the success of your content, you need to give your headline a second thought. Often the witty and funny headline that comes to mind when writing a great post may simply not be your best choice for your final blog post to get shares and clicks. The truth is on average 4 out of five people will see your headline and only 1 out of 5 will actually see your copy. You should absolutely give your headline the credit it deserves and come up with the best headline possible. 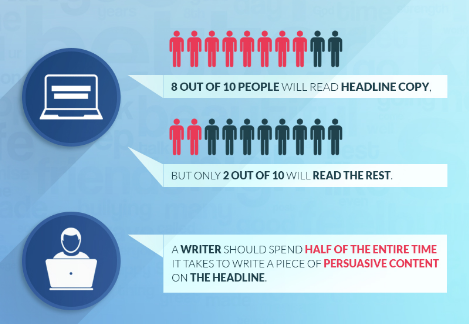 Check out this post for a guide to creating the perfect headline. Before you hit that „publish“ button, make sure you have checked your grammar and spelling. Either have an editor look over your post. Unfortunately, most bloggers do not have an editor at their back and call. In that case, you can use tools for that. We here at The Social Ms use Grammarly to edit and check our posts. This tool will help you eliminate the worst spelling and grammar mistakes. Check out this review for more information on Grammarly. There is statistical proof that posts with images get more views and shares. 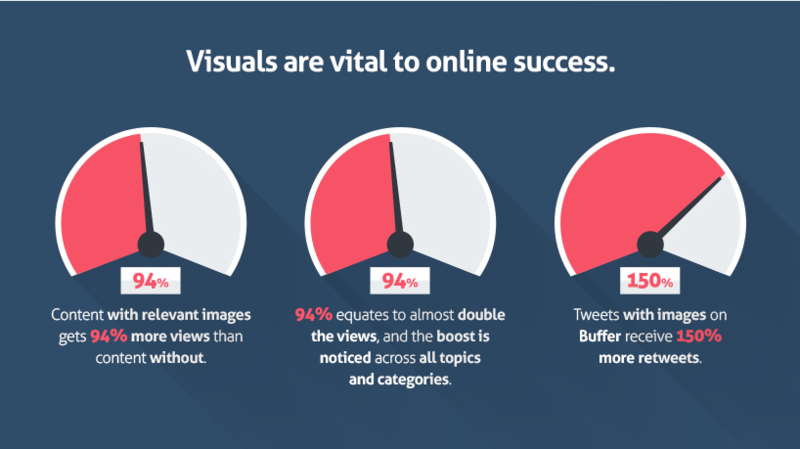 Images also help to keep your audience’s attention. In fact, posts with images get almost double the views than posts without images. And on Twitter tweets with images get 150% more retweets. Do you really want to miss out on this? I guess not. So before you publish your post add some images. The minimum you should do is to provide some images for your most important social networks. But some more images to proof your point will help you keep the attention from your audience right to the end of your post. If you need some help with creating beautiful images, check out these tools. There is truth behind the saying: Money is in the list. If you are looking for blogging success chances are high that you are collecting email subscribers. If you are not already doing it, you should definitely consider starting some lead generation. However, the best way to collect email addresses is via your blog readers. Make sure you have some signup forms in place to ask your audience to subscribe to your posts. A simple signup form is a great start. Content upgrades, page takeovers or other fancy stuff could be your next step towards building your email list. Make sure you offer at least one option for your readers to subscribe before you hit publish. You want an engaged audience. Engagement results in bonding and commitment. You can inspire engagement by asking questions at the end of your post. – And if you get thoughtful comments, make sure you answer them. There are various reasons why it makes a difference WHEN you publish. People can follow your blog in various ways, and some will instantly see your new post – or not if you chose a bad time. Timing is not only important for hitting the “publish” button. Timing also plays a crucial role in posting on social media and sending out newsletters. Many bloggers link to older posts from new posts they write. But have you considered linking to your new post from old posts? Especially if you have some older posts that still get a ton of traffic, this can help you give your new post an extra boost! Plus it helps to interlink your own blog posts. Which helps improve your website structure and build authority. Adding new links to old content will also help your old content to stay fresh. Every update of old content will signal „relevance“ to Google. 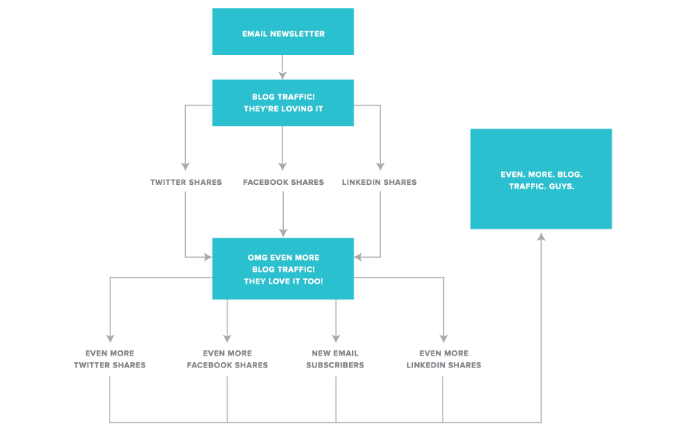 You can find more on the importance of internal links on the MOZ blog. OK, now you are ready to hit that magic „publish“ button. But still, you are not finished. 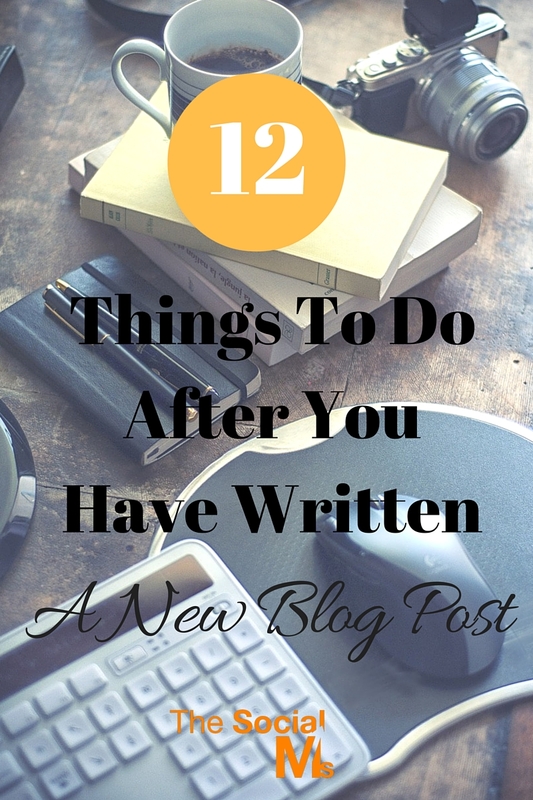 There are some more things to do to ensure your post’s success! You know someone’s audience has a special interest in your topic. Apart from these, you can also try to get the attention of people you may not even know so well if you are fairly sure they are interested in your topic: For instance because they published on the same topic recently. You can comment on their post (see #12), tweet to them or even write an email. This should be a matter of course. Even if your own audience is not huge yet, you should always share your new posts on your social channels. After all: Why should anyone share your post if you do not share it yourself? 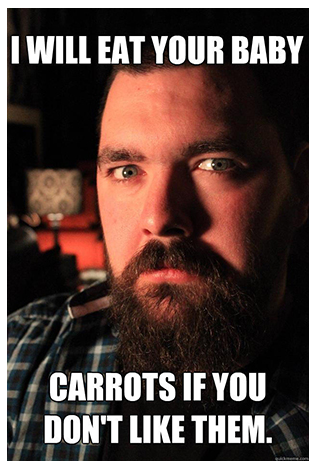 Make sure you use the images you added in #4. For many bloggers, their newsletter subscribers turn into their most important traffic source. Your subscribers are your most loyal audience. And the effect of sending a newsletter does not end with people clicking on the link: If your content is good at least some of those visitors to your post from your newsletter are going to share your post on their social channels. If you are not sure how to utilize your newsletter subscribers for getting traffic to your blog: subscribe to some blogs and see how they are doing it. Most bloggers simply send a regular newsletter every time they published a new post. Commenting is a great way of getting on other people’s radar and building a relationship. 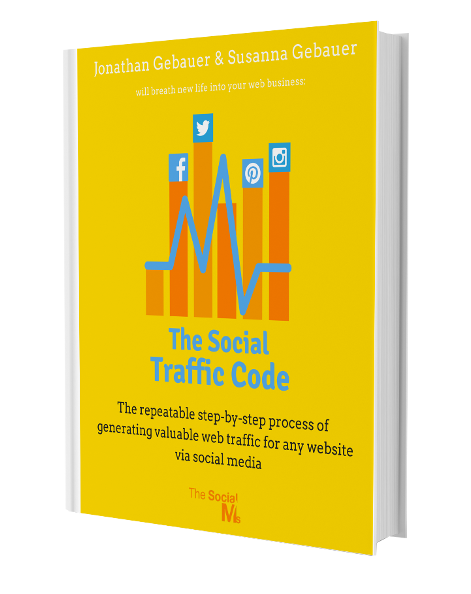 But do not fall for the seemingly easy way out: Most of the time a generic comment like „Great Post“ will neither inspire a discussion nor traffic back to your own post. When you decide to go for commenting on other people’s blogs, make sure you add value to the discussion. Make your comment thoughtful. If you have, add some information to the post or ask questions. Do not miss out on all the blogging tasks that come with the profession. Writing a post ist just a small part of blogging. Make sure you have all the other important tasks on your radar and get your post on its way to success. Which tasks do you always do before you publish your post or right after you published? Let us know in the comments below!